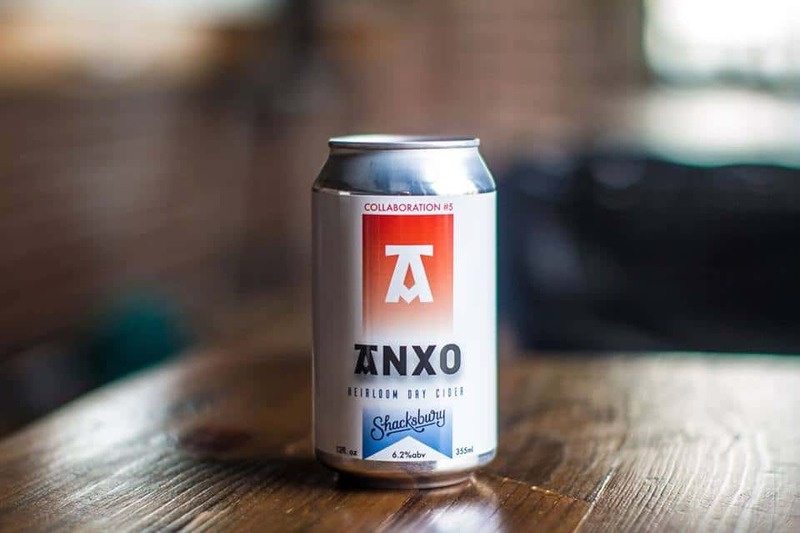 Great news from inside the Beltway: ANXO Cidery and Pintxos Bar has released Collaboration #5, Washington DC’s first canned cider. Collaboration #5, an heirloom dry cider, was created with Shacksbury Cider and blended on-site by ANXO beverage director Tim Prendergast. Cider sippers can grab a four-pack of 12-ounce cans at ANXO Cidery and Pintxos Bar for $14.99. The cider is also available at Himitsu and Timber Pizza Company. In addition to its own cider offerings, ANXO Cidery has embarked on quite a few cider collaborations in the past, including Collaboration #1 with Millstone, Collaboration #3 with Eden and more. Want to grab some for your home cider stock or enjoy it in a local bar or restaurant? Visit the ANXO website for locations. In other news from ANXO Cider, a tasting room is expected to open this year in the Brightwood Park area of Washington DC. Find ANXO Cidery and Pintxos Bar at 300 Florida Ave. NW in Washington, DC; phone: (202) 986-3795.